As a leading recruitment agency in Weybridge, March Recruitment know that every business wants to hire and retain its best employees. We hosted a seminar on Monday, which was aimed at helping businesses to create a work environment that their employees love to work in. 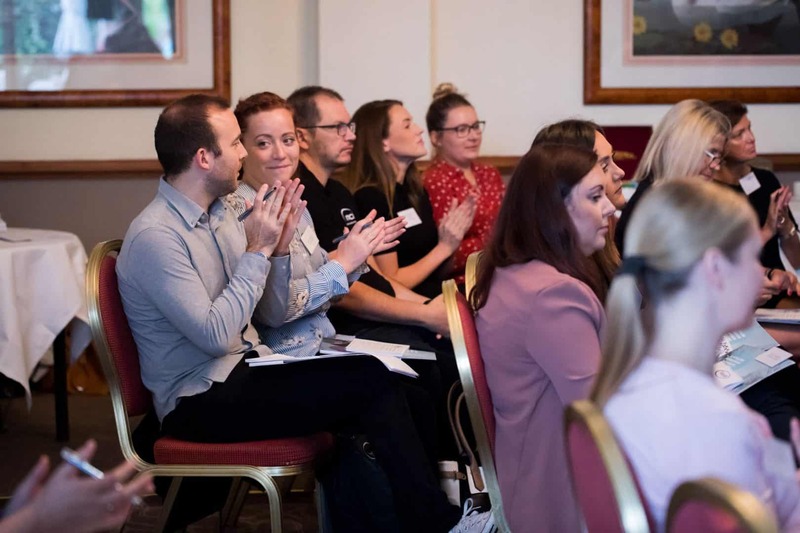 Read on to find out the 5 top tips that we suggested in our seminar, which will keep your superstar employees wanting to work for you! As a recruitment agency in Weybridge, we often see how nervous candidates can be prior to their first day at a new job, which is why it’s vital that employees make a great first impression on their newest member of the team right from the get-go. Offer your staff a friendly welcome to the workplace by providing an induction session, giving them a first-day work buddy, and reminding them of why they were hired. As a business owner, ask yourself why it’s important to you that your staff want to work for your company. By ensuring that your staff are happy, you’ll be able to improve the staff retention rate in your workplace. Happy staff will also have high attendance, increased productivity, great customer experience & loyalty, and will ultimately increase your profit! A great relationship between employee and manager will start with excellent communication skills. As a business owner, you should regularly check in with employees and listen to their concerns and idea. Not only will this alert you to any problems, but you might hear a great suggestion from a fresh perspective – a great way to show your staff that their opinion is valued, and that they’re being listened to. A quote by Simon Sinek promotes the idea that “Customers will never love a company until its employees love it first”, which is exactly why you should instil a sense of pride amongst your team. Show respect to your fellow co-workers by displaying courtesy, integrity, and show you care. Recognise the achievements of your staff with a simple ‘thank you’; help improve their performance with feedback; and celebrate both personal and work success! The longer your staff have been in a position for, the better they will become at it, which is why retaining your staff means that you’ll be confident that you can rely on them to get the job done! Why not try the “Job Enrichment” motivational technique to give your employee greater satisfaction in the workplace – it involves giving an employee additional responsibilities previously carried out by the manager or higher ranking positions. Employees will not only be satisfied in their new role, but will be utilising their skills – meaning that you’ll be increasing productivity.